This is dinner #4 in Selfridges’ inspired Summer series, #MeetTheMakers, and the surprises become ever more dazzling. You’d be a lucky diner if you managed to be quick enough to book all five dinners. Indeed there have been some who have enjoyed every one in this real treat of a tour of unexpected UK culinary hotspots; the best kind of gourmet staycation, for sure. Tonight’s guest chef is Conor Toomey, Head Chef at The Restaurant at Storrs Hall in the Lake District. His usual dining room has huge picture windows and dreamy views rolling down to Lake Windermere. His team of five have swapped it for Selfridges glossy mirrored Corner restaurant. We are all set for six very English courses and a flight of wines from round the world to match – selected by Selfridges head of wine Dawn Davies, who is our sommelier for the night. Conor’s written menu is a handy fast read for those of us impatient for our dinner: Avocado – Octopus – Veal – Huntsham farm pork – Peach – Coffee and chocolate. Somehow we know that each course is much, much more than that. These are dishes that are an artwork and feast in themselves. Throughout this colourfully textured dinner, we can spot the tricks and tactics which Conor adores using to make each course flow. We marvel at his imagination and skills in freeze drying and dehydrating to create airy powders and granules. It seems he can work magic on anything – we taste almond, tarragon, raspberry and even chocolate, all creating delicate magic veils across our dishes. Our first course is a silky milky avocado cream, aged parmesan and lacy shavings of summer truffle surrounding a precision cut spearhead of baby artichoke. You want to disassemble the chef’s creation and savour each on its own to get the purity of his chosen flavours. 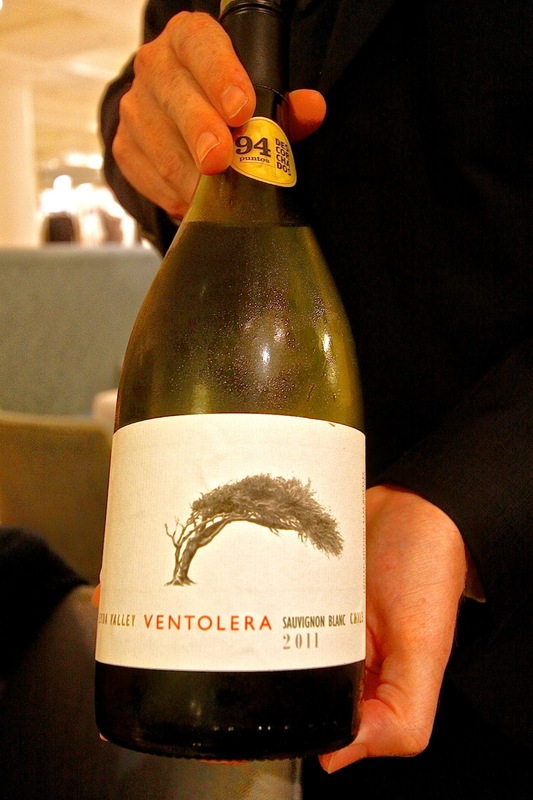 To accompany this, our wine is an uplifting Chilean that’s all fresh gooseberry and garden grassiness - Vina Litoral Ventolera Sauvignon Blanc. The next dish has every nuance of savoury saltiness. Slow cooked octopus, baby heirloom tomato, a smoky chorizo jam, peculiar salty fingers that pop delicate saltmarsh brininess, and a hint of anchovy. Chef adds his wispy cress-like pennywort, foraged from the Lakes. Partnering the octopus, we drink a deep mature Rioja viura with surprising freshness. 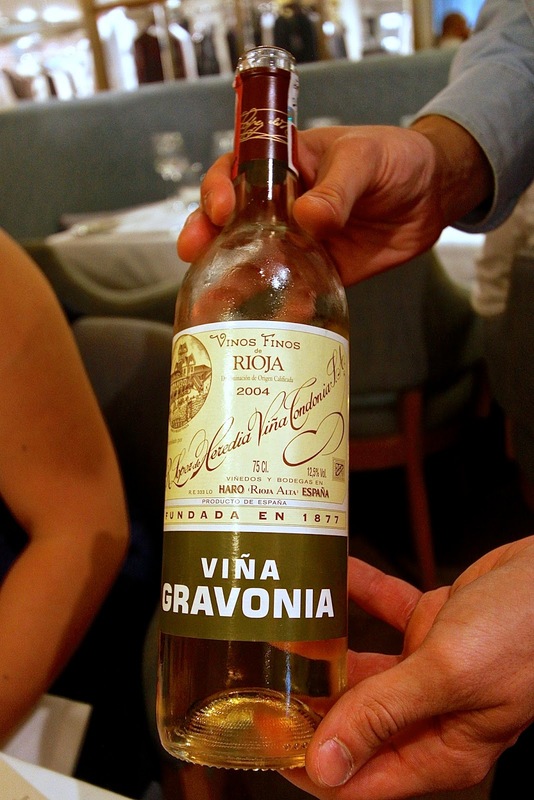 This 2004 has an oaky depth that balances the saltiness of the food: Bodegas R Lopez de Heredia, Vina Gravonia Blanco Crianza. Tastes become richer and textures more diverse, as we are served roast veal sweetbread with an unsuspecting cube of beef shortrib, crunchy baby beetroots and delicate anise-like tarragon. Our first red arrives. 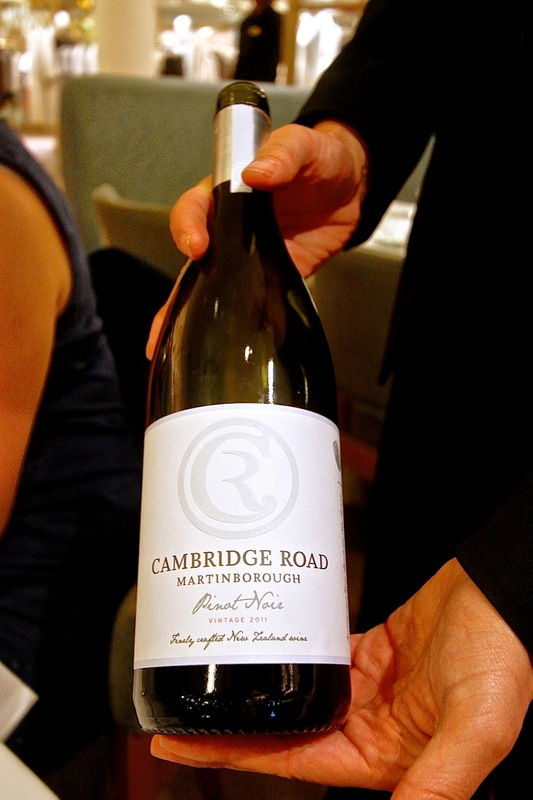 The Cambridge Road Pinot Noir 2011 is a confidently rich New Zealand wine from Martinborough in the south of the north island and a great match to the roast sweetbread. The hearty, elegant main course is pork served three ways and comes as a butter-soft bar of belly, plus 55 day aged middle white pork laid on a cushion of pulled shoulder. Rings of barbecued onions and an intense velvety apple sauce accompany it. 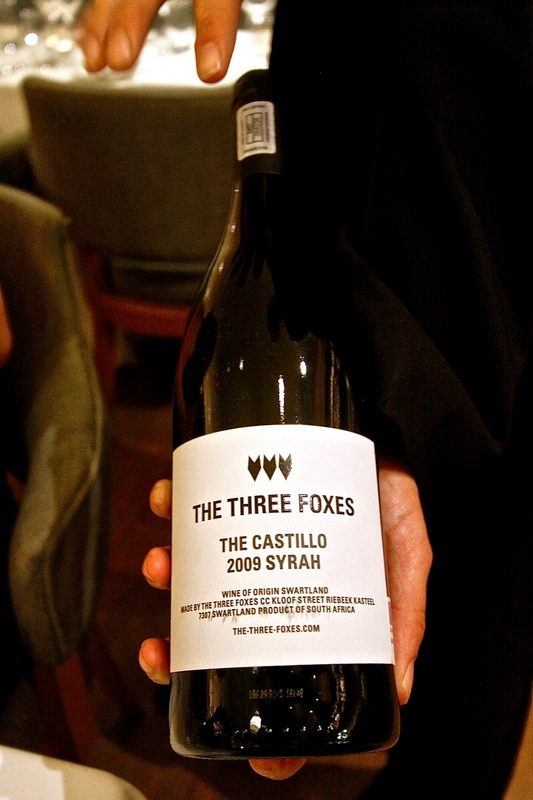 With this comes an unusual South African Swartland wine: Three Foxes The Castillo 2009 Syrah. It is a slightly cloudy style; very natural, and showing very little intervention. There are two desserts – perfect for every dinner when it’s impossible to decide upon fruity or creamy. An unusual peach melba experience presents us with meltingly baked peach, raspberry sorbet and pink wafer shards with the taste of pressed candy floss. The treasure is a soft crushed raspberry which lays hidden. It floats in a pool of the most translucent, coolest custard imaginable. 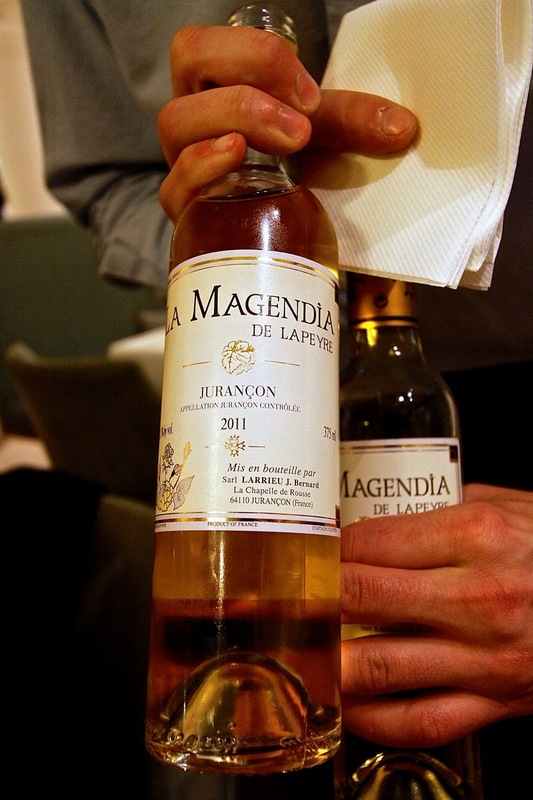 Giving away no hints on the nose, but yielding explosive fragrant sweetness on the palate, is a Clos Lapeyre ‘La Magendia de Lapeyre’ 2011 Jurancon from SW France. Finally, our Windermere dinner draws to a reluctant close with frozen coffee cream, aerated sponge and creamy chocolate Namelaka. 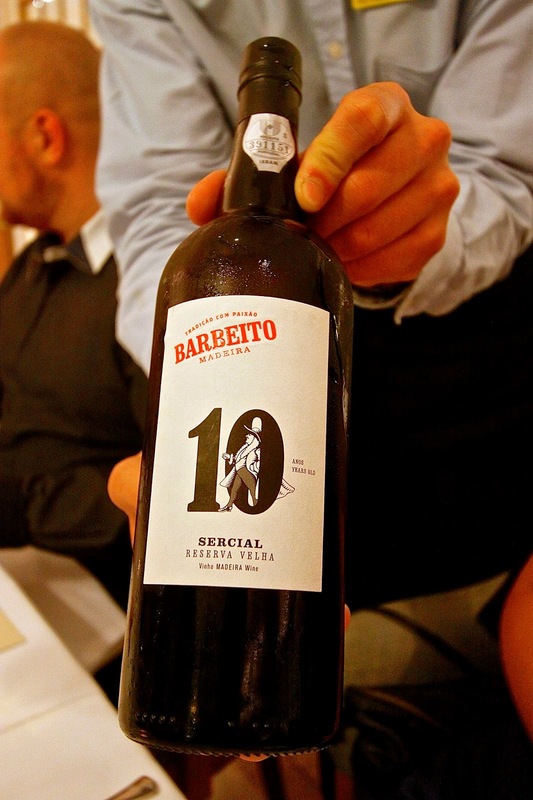 We sip a Sercial 10 year old vinhos Barbeito: a medium sweet Madeira which enhances the dessert flavours with a caramel lushness. Three hours later, and we feel the evening has just started. We’ve been busy figuring out every note of taste and nuance of skill, but that hasn’t distracted from the sheer easy pleasure of enjoying this symphony of a dinner. The six-course dinner was priced at £75, and including wine flight, £110. For more information about the series of #MeetTheMakers dinners, visit the Selfridges website here.